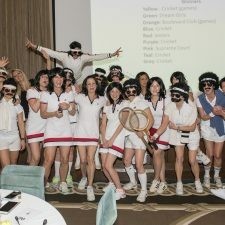 The Granite Club is proud to announce that the 34th annual Philpott Ladies Invitational Tournament in support of the Doug Philpott Inner City Children’s Tennis Fund was a sold out success! This two-day tournament and gala, held January 24th and 25th, 2018 was attended by over 250 tennis enthusiasts and Philpott supporters. With Timm Fisher, Tennis Director at The Granite Club, as host of the Gala themed “150 Years of Tennis”, this event raised over $60,000 for Toronto’s priority needs children. It takes only $25 to send a child to camp for a week, so this event will give even more children a chance to try tennis and to keep busy this summer. This is huge for the charity and ultimately for the children. A big thank you goes out to the hard work of The Granite Club tennis pros and staff and the Philpott Ladies Invitational committee. The committee consisted of Lori Vaudry, Cathy Mackie, Amy McFarlane, Carly Dougherty, Dayna Gibbs, Jennifer LeDain Symmonds, Jennifer Newton, Leanne Ly, Louise Sugar, Michelle Meneley, Sydney Tiviluk and Tracey Tanner. 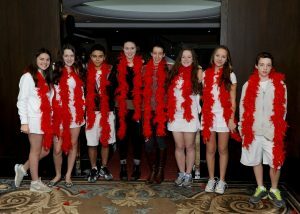 Thursday night was the 150 Years of Tennis Gala. The gala was a time to meet and greet opponents and friends, enjoy a delicious dinner and bid on some fabulous silent auction items. The high point of the evening was the Philpott towel raffle, the unique and hysterical Timm Fisher video and the dance party. All the fun and excitement of the evening was captured by photographer Kim Lowes. This year there were 9 divisions of competition, with four teams per division for a total of 36 teams. Thank you to the following clubs for providing court time and refreshments for the tournament: The Granite Club, The Cricket Club, The Toronto Lawn Tennis Club, The Boulevard Club, Lambton Golf and Country Club, The Donalda Club, The Bayview Golf and Country Club and York Racquets. The rivalry was fierce but fun, because at the end of the day everyone realized they were part of something much bigger than a two day tennis tournament. They were providing opportunities for children to play tennis in priority needs areas of the city. They were giving back to a sport they love by making it possible for Philpott to expand and welcome a growing number of children into the program. In 2018, the Philpott Children’s Fund will be providing 19 tennis camps to over 9,000 inner city children in Toronto’s priority needs neighbourhoods, offering them a fun, challenging alternative to summer inactivity. Through the generosity of donors and partners, qualified instructors help Philpott Kids learn more than tennis – they learn valuable lessons about physical fitness, leadership, cooperation, discipline and self-confidence. Almost half of our instructors first learned their tennis through the Philpott lessons and are now certified and teaching in neighbourhoods where they grew up. Their mentorship is invaluable. This winter we are able to offer the Philpott children three indoor tennis opportunities, at the Boulevard Club, at L’Amoreaux and at the North York Winter Tennis Club. The 2018 Philpott Ladies Invitational tournament will provide over 30% of the annual funding for the Philpott charity. 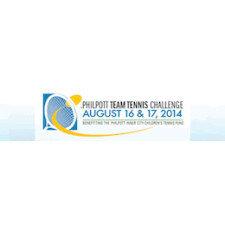 With this support, we are able to offer the free summer tennis lessons and the growing winter programming. The Philpott Board of Directors, the instructors, the volunteers and the children say thank you for giving back to the sport you love through your participation in the 2018 Philpott Ladies Invitational tournament!